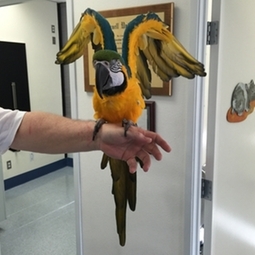 Exotic Pet Exams - Paws 'n' Claws Veterinary Hospital, Inc.
Do you have a pocket pet, reptile or avian pet? Paws ‘n' Claws offers services such as: wing, beak, and teeth trimming for your non-canine and feline friends. Is your pet not feeling well? Let our veterinarian team examine your pet to help them get on the road to feeling better.